These special designed perforated Eurohoc Floorball Precision Balls have a unique dimpled pattern that reduces air resistance as well as friction on the floor. The dual colour of the ball makes them more visible to the eye allowing players to track easier during use. Eurohoc precision balls are specifically designed for use with floorball sticks and are lightweight to reduce the risk of injury. 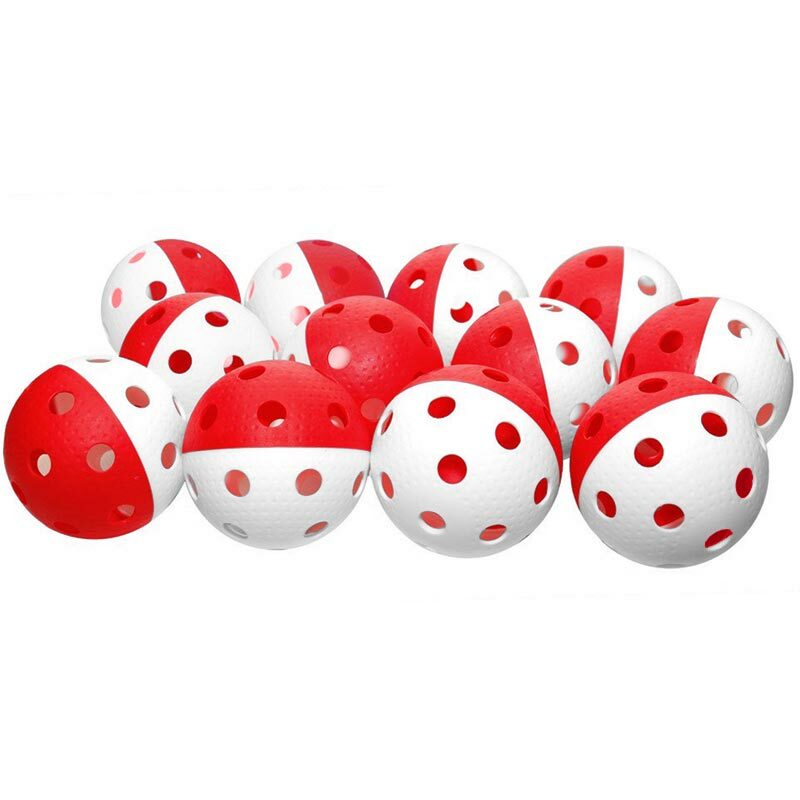 12 x Eurohoc Floorball Precision Balls Red/White. Reduces friction with the floor. Sold as pack of 12 Floorball Precision Balls.